Two years ago, just after Linda and I started our first full season as the new owners here at Easy Five, the Lourensford wine estate just a few kms away from us organised an event to familiarise local guesthouse operators with everything this vast estate has to offer. It was at that event that we first met Zita Rabek, who owns the Coffee Roasting Company from where we get all the delicious African coffees that have proven to be such a hit with our guests in the morning. 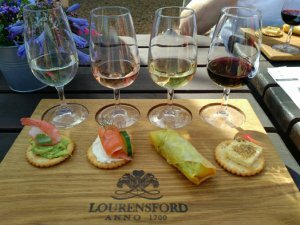 We also learned of Lourensford’s popular wine-and-chocolate pairings, as well as their unique fruit-juices-and-chocolate pairings that have been a real hit with families staying with us. And we sampled pizza from Millhouse Kitchen, which has since become our favourite pizza takeout joint and our local go-to when Linda has a burger craze on. There was a lot of construction and expansion activity at the estate over the winter and so we were happy yesterday to take the good folks at Lourensford up on their invitation to come back and see what’s new. Along with the operators of about half a dozen other guesthouses in the area, we hit all the highlights, new and old. As a kick-off to the morning, Zita treated us all to a cup of her marvellous coffee in her vastly expanded new coffee shop and bakery. We toured the Art Curator gallery that bills itself as specialising in old South African masters. The Lourensford Market, at which I buy the best biltong ever, has been redesigned a bit, and opened for the new season last Friday. An ambitious new spa and “movement studio” called Life Retreat will be fully operational this coming week. We (And our guests!) 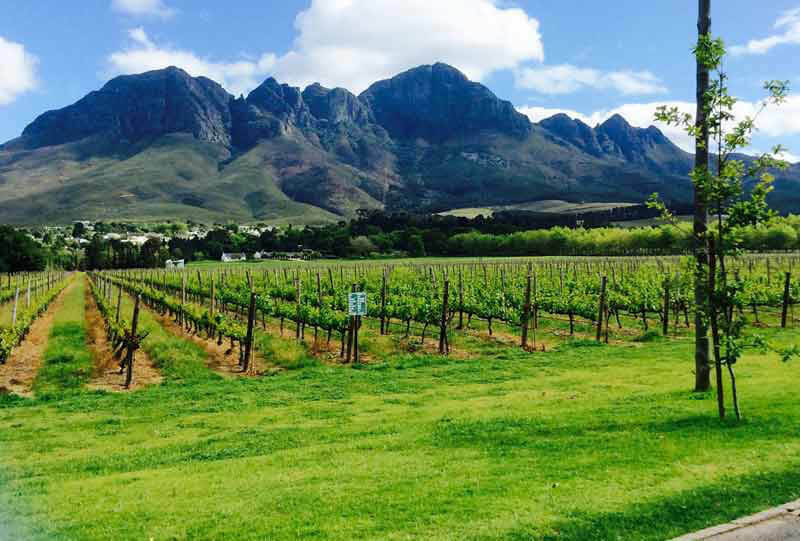 love that our little guesthouse, located in the heart of the Cape Winelands and within easy reach of Cape Town itself, has so many interesting attractions close by. Lourensford has always been a favourite destination for our guests and with all its new additions, that is sure to become even more so.